The Carole and Barry Kaye Performing Arts Auditorium is a 2400 seat venue located on the FAU Boca Raton Campus. 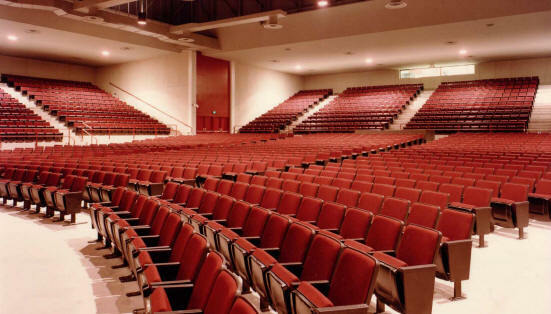 Built in 1980 and opened in 1982 the Auditorium has maintained a reputation as one of the most acoustically sound venues in south Florida. We are the south Palm Beach County home to a number of regionally acclaimed orchestras as well as a variety of other performances ranging from Broadway stars to nationally acclaimed comedians to internationally acclaimed concerts.